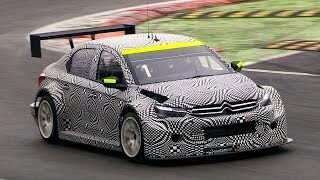 Citroen has released the first details of the 2013 C-Elysee WTCC, before its first public appearance at the 2013 Frankfort Motor Show in September. The C-Elysee WTCC is quite simpy formidable with an integrated aerodynamic splitter, an aggressive front fascia with a carbon fiber front lip spoiler, widened front and rear wings and extended wheel arches. There are also 18-inch wheels with Yokohama tires. 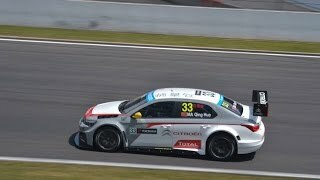 The 2013 Citroen C-Elysee WTCC is powered by a turbocharged 1.6-litre direct injection four-cylinder engine that produces 380 bhp (283 kW) and 400 Nm (295 lb-ft) of torque. The car comes with a front-wheel drive transmission, controlled by a six-speed sequential gearbox.